Jack Kemp was a man of principles, and courage, who is sadly missed today for his combined advocacy for the free-market and civil rights. As CEO of Habitat for Humanity, he raised $596M for his campaign, “More than Houses,” and opened 100 Habitat offices worldwide using %AYE, which he learned of from our CEO, Brock d’Avignon. 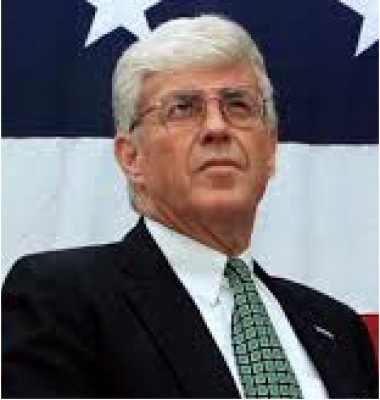 "Throughout his career, Jack Kemp transferred lessons and values from the playing field to the political arena. He stood for inclusiveness, engagement and encouragement. He drew support and earned the respect of Americans from all walks of life because he lived his philosophy of principled pragmatism, friendly strife, empowering others and, especially, reaching out to those who had not yet attained the American Dream.